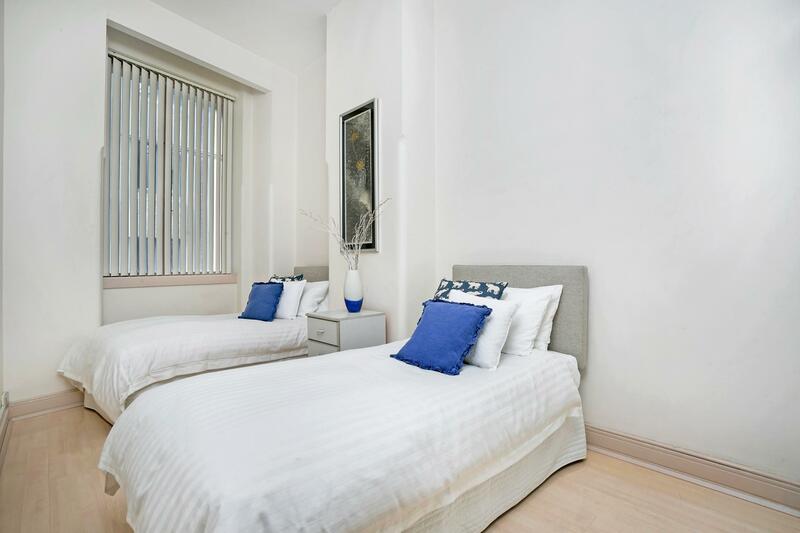 This great 2 bedroom apartment is as central as it gets. 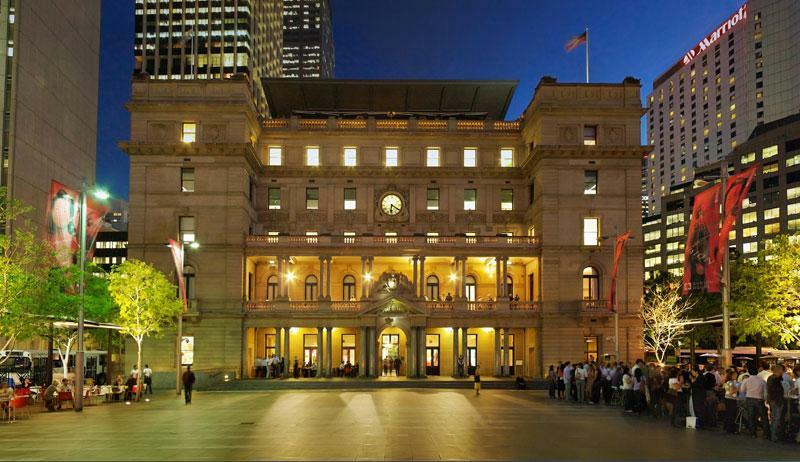 Located in the centre of the city, only minutes walk from all of Sydney’s great sites such as the Sydney Opera House, The Sydney Conservatorium of Music & Circular Quay. 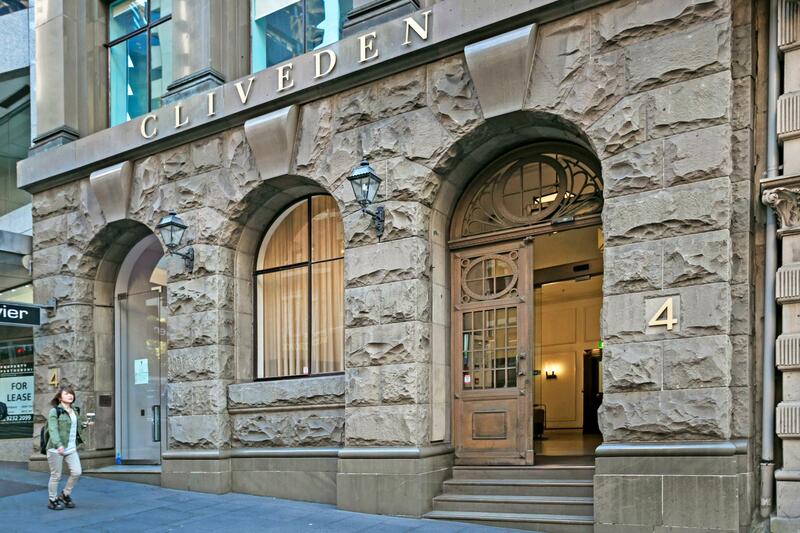 Your apartment, located in the historic heritage listed Cliveden building, boasts high ceilings & a newly renovated common room. The Cliveden also has a fantastic rooftop pool, which will provide a relaxing atmosphere. 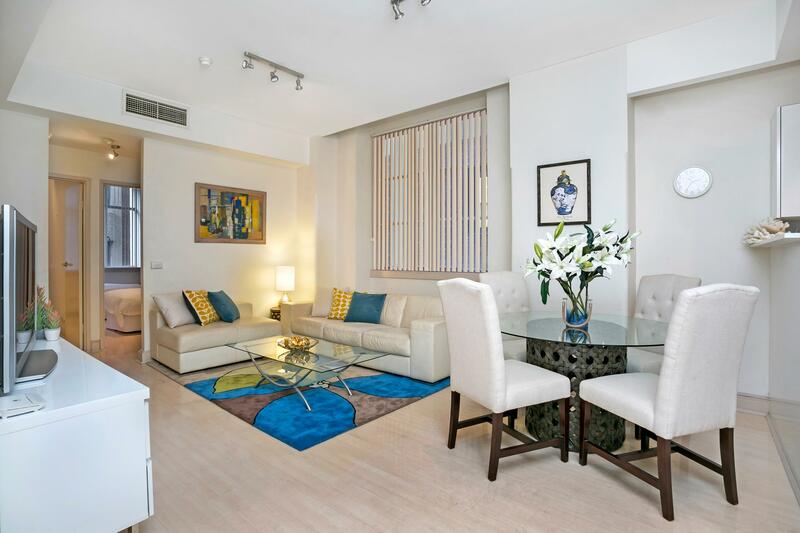 With all your modern conveniences provided, this is truly your “home away from home”. This apartment is large enough for up to 4 people as it has a queen bed and two singles and it has 2 bedrooms, which are clean. 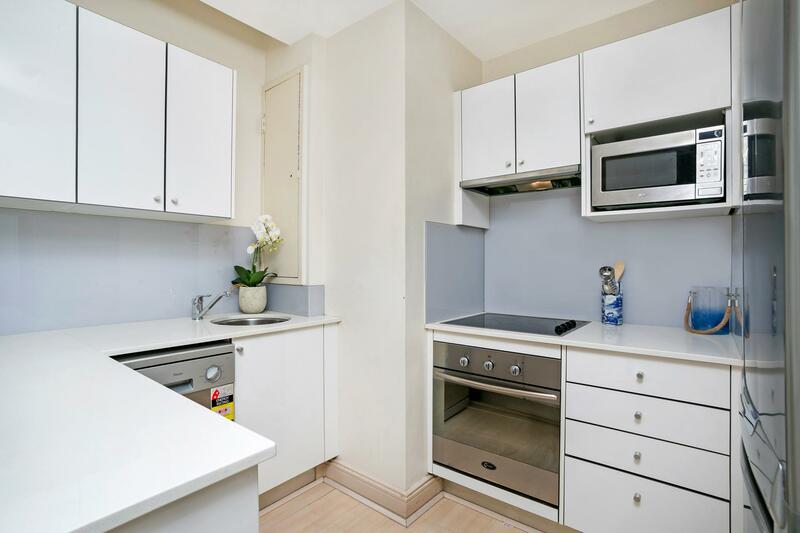 The kitchen is of ample size and has some cooking essentials included. The location is central to the CBD which made it perfect for us, as we have a chronically ill/disabled son who can't walk very far or fast, therefore making it easier for us to get around. The apartment is also very secure, and the internet service was also very good; all in all a great place to stay. 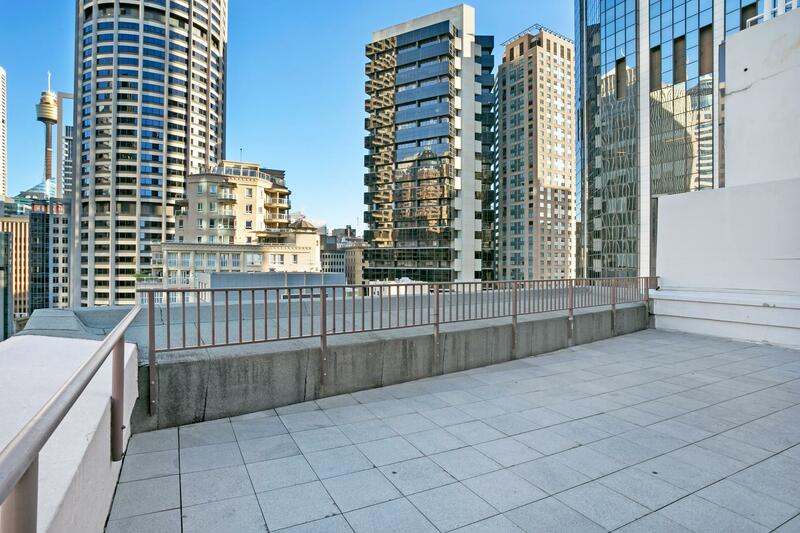 Great location 3 blocks from Circular Quay. Clean and comfort. Exceptional location, perfect for family with two children, only downside, noisy at night as work on adjacent street. 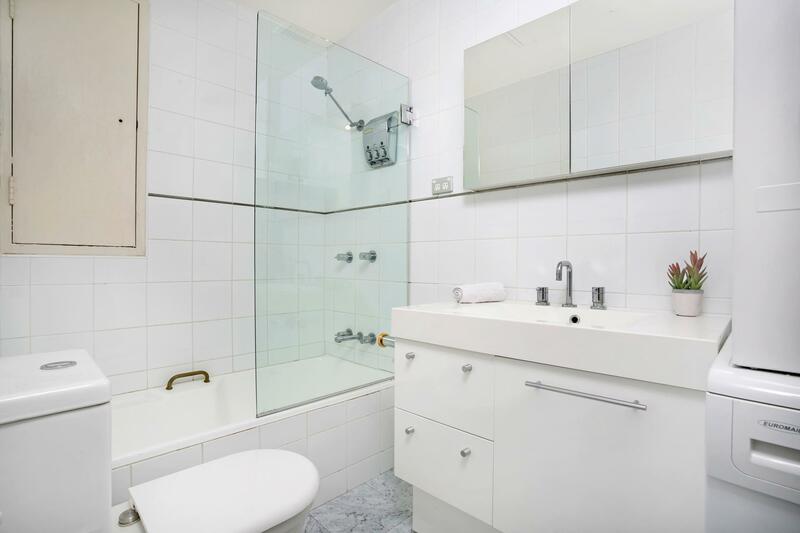 This apartment is very central - 5 minutes walk to The Rocks and Circular Quay, and 10 minutes walk from Pitt Street Mall. There is also a convenience store a few steps away from the building entrance, which came in very handy. The apartment is beautifully equipped, and a welcome pack provides any small extras you might need. The air-conditioning is fabulous, especially during hot days! The beds are very comfortable and the linen is high quality. For people with young children it's great to have a bath tub as well. 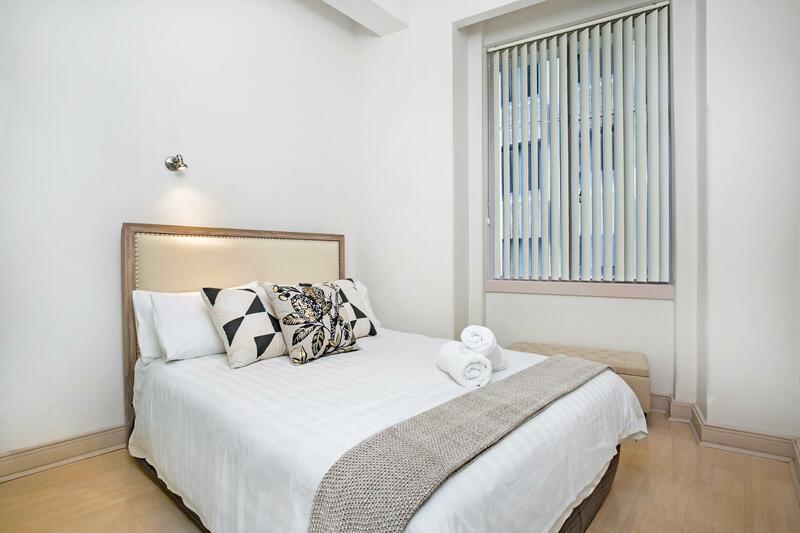 This apartment has everything you need to have a comfortable stay. The only I would say is to check on the progress and timing of the light rail construction on George Street, as it is very noisy. Otherwise I would highly recommend this apartment. This place was in an awesome location and looks just like the pictures! the kitchen was well equipped and it was great having a washer/dryer too. We felt very safe there and were within walking distance to everything! our host made us feel very welcome and we would recommend this to other travelers for sure! 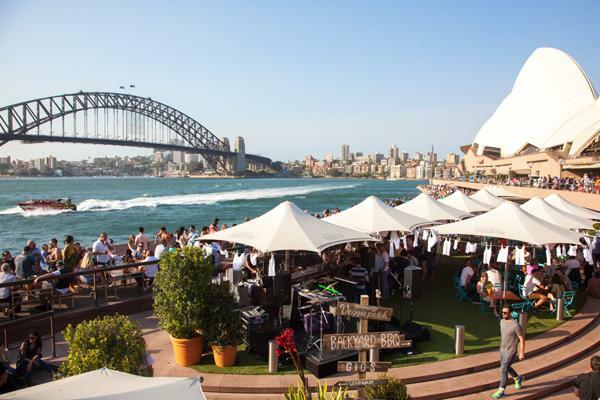 A really convenient place that close to Circular Quay. We can find everything on George Street like supermarkets, malls and restaurants. The place is well set with all equipments for cooking and cleaning like home. I do love staying there. 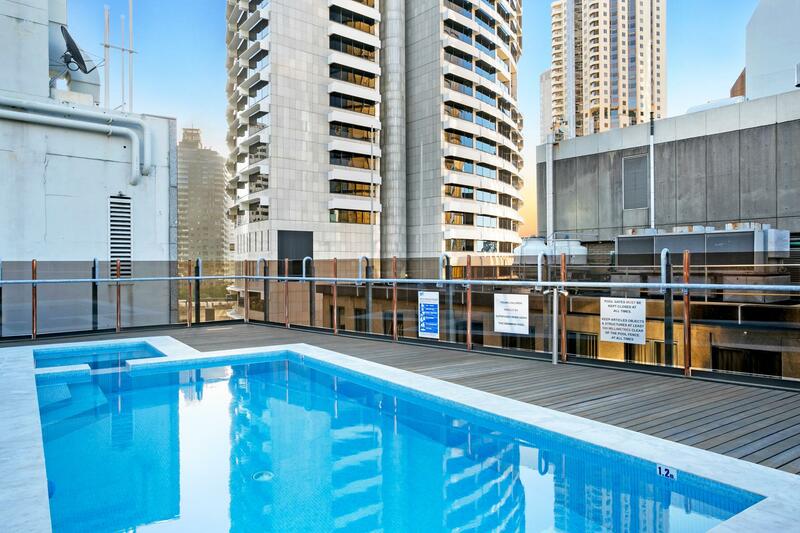 Five star location right in the heart of the CBD. Clean, convenient and great value. Will book again.